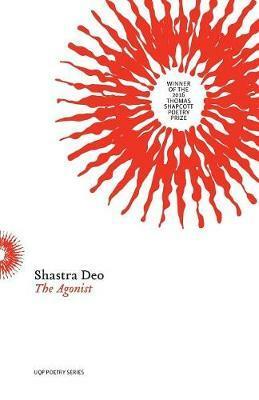 With its wildness and originality, The Agonist is an exhilarating collection. Exploring the languages of anatomy, etymology and incantation, these poems craft conversations about fracture and repair, energy, love and danger. Shastra Deo was born in Fiji, raised in Melbourne, and lives in Brisbane. She holds a Bachelor of Creative Arts in writing and English literature, first-class honours and a University Medal in creative writing, and a Master of Arts in writing, editing and publishing from The University of Queensland. The Agonist is her first book.